Jason Momoa  Male celebrity desktop wallpaper, Jason Momoa wallpaper, Stargate Atlantis wallpaper, Ronon Dex wallpaper, Male celebrity wallpaper - Male Celebrities no. 4657. 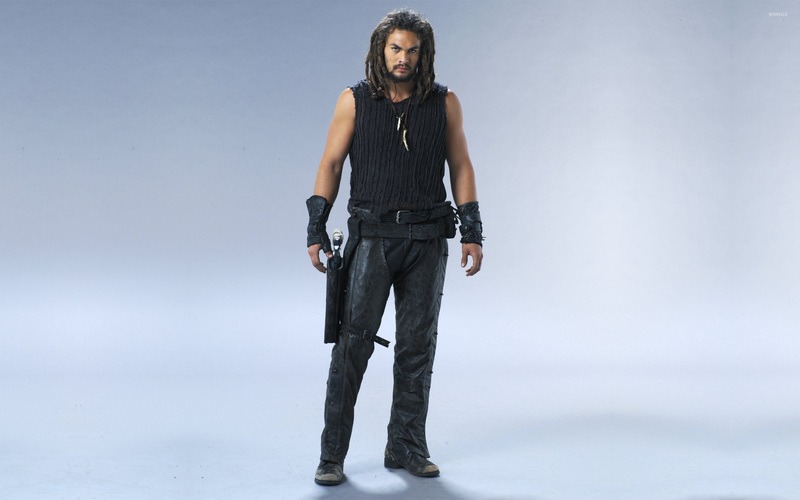 Download this Jason Momoa  Jason Momoa Stargate Atlantis Ronon Dex desktop wallpaper in multiple resolutions for free. Stargate Atlantis (often abbreviated SGA) is a Canadian-American science fiction television series and part of MGM's Stargate franchise. The show was created by Brad Wright and Robert C. Cooper as a spin-off series of Stargate SG-1, which was created by Wright and Jonathan Glassner and was itself based on the feature film Stargate (1994). The first three seasons of Stargate Atlantis were broadcast by The Sci-Fi Channel and The Movie Network, while the final two seasons aired exclusively on Sci-Fi. The show premiered on July 16, 2004; its final episode aired on January 9, 2009. The series was filmed in and around Vancouver, Canada. Ronon Dex is a fictional character in the science fiction television series Stargate Atlantis. Played by Jason Momoa, he is a Satedan, a civilization from the Pegasus Galaxy who had a technological level comparable to Earth in the mid-20th century but met the fate of all advanced civilizations in Pegasus when their homeworld Sateda (P3R-534) was devastated several years ago by the Wraith. When Ronon Dex and the Atlantis expedition first met in the season 2 episode "Runner", Ronon Dex had been a Runner for the past seven years. He joined the Atlantis Expedition shortly afterwards, effectively replacing Aiden Ford on Sheppard's team after Ford had become addicted to a wraith enzyme and had fled Atlantis.